Now in the midst of September, the fall semester in Copenhagen has been filled with sunny, summer-like days where walkers, bikers, and café goers liven Vestergade and the surrounding streets. With a hope that mother nature isn’t listening too closely, current students might tell you they are starting to wonder about the fall season in Copenhagen and all that Danish hygge that comes with chillier days. As jacket season comes upon us, Copenhagen’s cyclers are not giving up their wheels; runners will still take to the city’s green spaces for a jog; parents will still stroll through town with babies in tow. 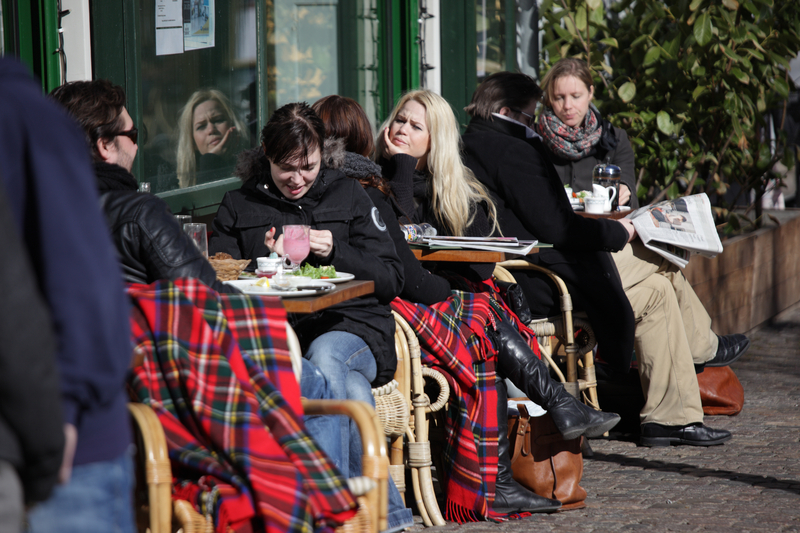 However, what might come by as a surprise is that Copenhagen’s restaurants and cafes still offer outdoor seating into the winter season. And what’s even more – these seats are filled! With a few blankets and heaters, candles for the table, and warm plates of food, what is more hyggelig than enjoying a meal outside in the crisp fall air? To get in that Danish mentality, you’ll need to know a key phrase to truly live like a local while studying in Denmark: Der findes ikke dårligt vejr, kun forkert påklædning, meaning, There’s no bad weather, only bad clothing.